Aigiri Nandani Nanditha Mehdhini is a Durga Devi Stotram. 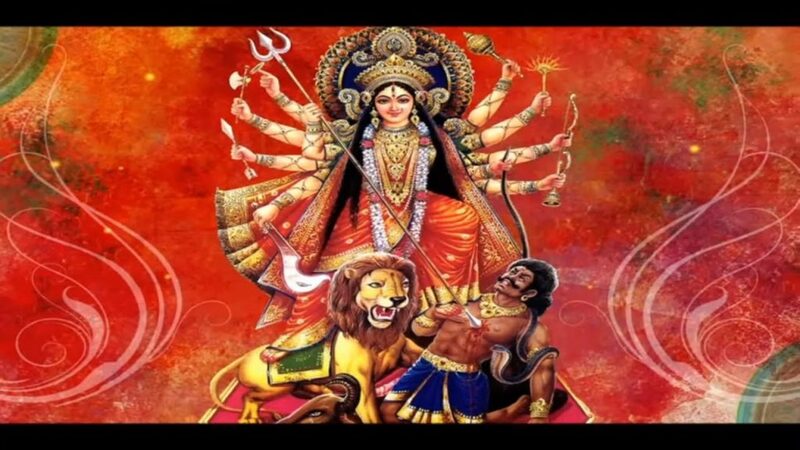 This song is addressed to Goddess Mahishasur Mardini which is said to be the fierce form of Goddess Durga where she is depicted with 10 arms, riding on a lion with weapons. 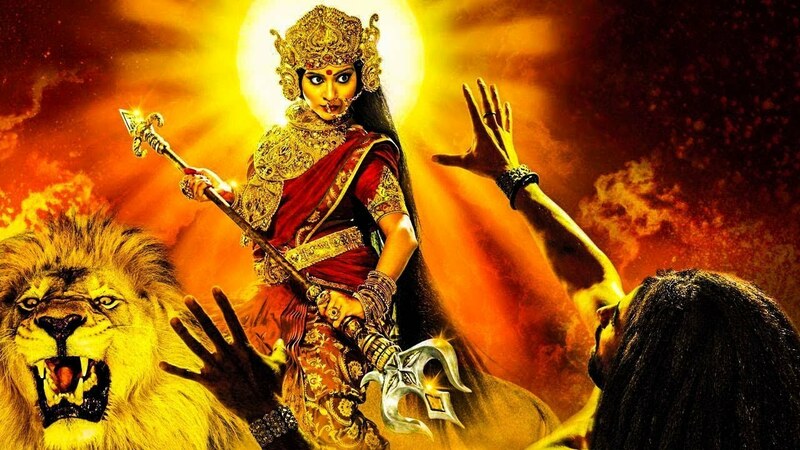 The song is voiced by Rajalaksmee Sanjay to which the lyrics are given by Adi Sankaracharya. The music of the song is composed and arranged by Sanjay Chandrasekhar. The song was released on 25th September 2014 under the music label of Rajshri Entertainment private limited. Given below are the credits and lyrics of the song after which the link to Aigiri Nandani song download is given for you.